For 350 years, Founder Mathius Marsden has secretly monitored the Society of living vampires. He’s silently watched as it degenerated from the sanctuary he created into a cult of subjugation and fear. Eliza Ricos is searching for the genetic key to freedom from the oppressive Society. When the reigning triumvirate targets the entire Ricos family, Mathius plans to use his considerable power to oppose the dictatorship and put the Society back on the course he originally set. 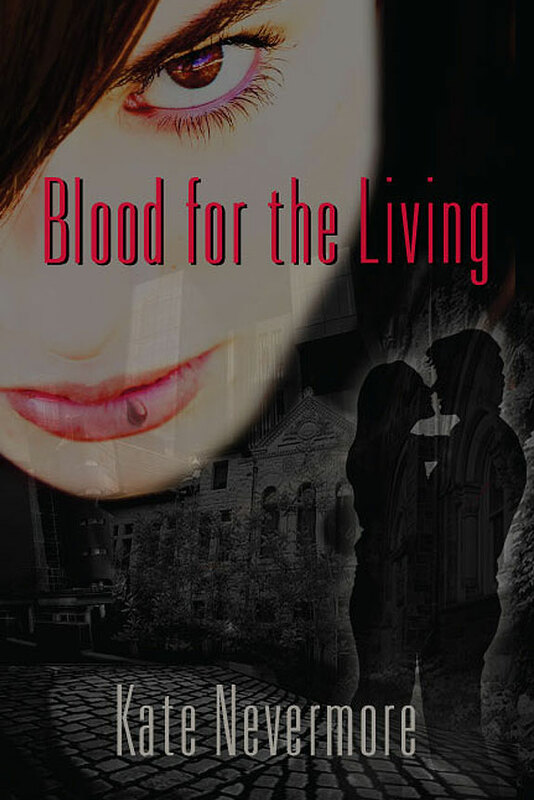 Blood for the Living can be purchased through my official author site, on Amazon or Barnes & Noble, or at any other major book retailer. It’s also available in all main ebook formats. What if you could change the world, for the price of a drop of blood? In the near future, an experimental study at Dearden University fundamentally alters gene therapy subjects into living vampires, giving them superhuman strength, speed, stamina and senses, yet leaving them dependent on blood for survival. Under Mathius Marsden’s charismatic leadership, they create the secret V Society, a sanctuary for vampiric families, and build Fourth Planet Farm, a massive agricultural and financial empire which they use to manipulate the course of world events. Divided by test years into the powerful, sterile Founders (first round), the long surviving dominant Seniors (second round), and the subservient Juniors (third round), the V Society fractures over control of the farm, which is also the primary source of blood for its members. Tired of the friction from within, the Founders withdraw into obscurity, leaving the V Society in the hands of misogynist Young, unscrupulous Albertson and dogmatic Ventana. It is now four hundred years later; the immortal Founders are thought to be dead. The descendants of the ruling patriarchal Seniors have turned the V Society into a cult of subjugation and fear. Under the combined force of the Albertson, Young and Ventana families, they have governed the Society with a centuries-old stranglehold. Senior collegian Eliza Ricos is attending Dearden University while searching for the genetic key to freedom from the oppressive Society. When the reigning triumvirate targets Eliza, she unexpectedly is thrown into the midst of the inevitable showdown between the Founders and the ruling families. Founder Mathius Marsden has become a wealthy recluse who silently monitors the V Society’s activities. Displeased with their continued persecution of women and the harassment of the Senior Ricos family, Mathius plans to use his considerable power to oppose the dictatorship and put the Society back on the course he originally set. Mathius enlists the aid of the few remaining Founders — elusive geneticist Tasha Redding, tech-savvy Sendar McFadden and his cryptologist wife Gabby — but his carefully laid plans go awry when he loses contact with Tasha following a devastating attack. Forced to improvise, he is surprised to find romance while unraveling the generations-old hierarchy. With the help of Junior security expert Stan Salesky, Mathius and the Founders re-write the foundations of the V Society. I just wanted to say thanks for subscribing to my blog! Very exciting to know that I have at least one reader – it might inspire me to post more often! Your book looks awesome, and good on you for persevering and getting it published. I’m going to buy a copy and would love to review it for my blog (I sense that your take on vampires is very different to Deborah Harkness’s in ‘A Discovery of Witches’, ie I won’t want to remove my own eyeballs after reading your book). Thanks! I can’t wait to read what you have to say!